This quote has become one of my Seeds of Thought stamps because having hope is what kept us both strong. Sadly, she passed away on May 14, 2010, but I still have hope for a cure so that no family should ever have to feel this loss. 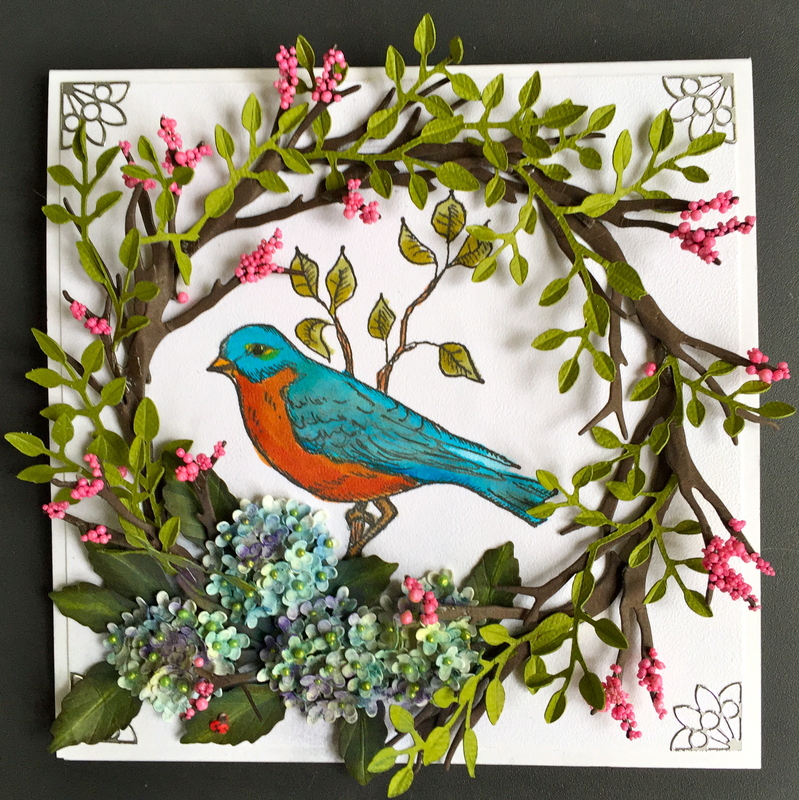 The other inspiration for this card came from my good friend Bianca Petroschi’s design of a blue bird. Bianca is the newest licensed artist with Elizabeth Craft Designs and shares my love of nature. Creating a wreath from the branches of my birch tree, frames it beautifully!